I can’t believe it. My dream is finally coming true! Derek Jeter sat in the back of his family’s old station wagon, thinking those words, not saying them out loud, as he watched his dad get behind the wheel and fish out his car keys. Instead Derek said, “Thanks for doing this, Dad. I know how busy you are, but I’m reeeeally happy you’re coaching our team.” Finally, he wanted to add, but stopped himself. “Really?” Derek was shocked, although he probably shouldn’t have been. Mr. Jeter had been a college player until he’d injured his knee, but since then had been working, studying for advanced degrees, and raising a family. Still, Mr. Jeter had been Derek’s unofficial coach practically since Derek was in diapers. It seemed weird that his dad had never coached a baseball team until now. “Wow! We get to be your first team,” Derek said proudly. Was he joking? Derek wondered. Probably. His dad always kept a straight face, so it was sometimes hard to tell what was a joke and what wasn’t. But would Derek still be happy if their team wound up in last place? That was not going to happen, he reassured himself. Never in a million years. His dad was the best coach in the world! Or at least the best Derek could ever imagine. Who else could have taught him so well, and cared so much, and believed in him so totally? His dad knew everything there was to know about baseball, Derek was sure of that. Vijay had been Derek’s best friend since the Patel family had arrived in Kalamazoo and moved into Mount Royal Townhouses, just a stone’s throw from the Jeter family’s townhouse in the same development. The Patels were from India, and they were the first Indian-American family Derek or any of the other local kids had known. Derek had been Vijay’s first friend in town, and they’d been best friends ever since. And now they were on the same team—for the third year in a row! Derek’s other best friend, Dave Hennum, was on the team too. In fact, the entire universe seemed to be aligning to produce the one thing Derek had never experienced in his baseball life—a championship team. Vijay was already out in front of his house, waving both hands. His mitt was on his left hand, but that didn’t stop Vijay. He was the king of excitement, as always. Derek gave him five, but he wished Vijay wouldn’t always make big predictions like that, at least not out loud. Derek thought it was bad luck to act like you’d already won something when you hadn’t even stepped onto the field yet. In fact, neither he nor Vijay even knew who most of their teammates were! But that was about to change. Every year at this time Derek practically held his breath as he waited to see who was on his team. But this year he was especially excited, so he could hardly blame Vijay for bursting at the seams. In the back of the station wagon were two big duffel bags full of baseball equipment—everything the Indians would need, including balls, bats, helmets, and catcher’s equipment. There were also maroon-and-gray Indians uniforms, socks, and hats in two big plastic garbage bags. Vijay always saw the bright side of things. It was one of the main reasons Derek liked him so much. They all laughed. Derek could tell that his dad was just as excited as the two boys. This was the day he would meet his first-ever team, the kids he would be responsible for all season long. It was a big job, and Derek could see that his dad, while joking around, was still taking his task very seriously. They parked by their assigned field at Westwood Little League. The boys helped tote the equipment bags over to the home bench and lined up the bats and helmets along the fence. The big Mercedes pulled up behind the Jeter station wagon, and out scrambled Dave. Derek’s mom had already dubbed the boys the Three Musketeers. Dave ran over to Derek and Vijay and got right into their game of catch. Mr. Bradway—or “just Chase,” as he instructed everyone to call him—was the Hennum family’s driver, and Dave’s caretaker while his parents were away on business, which was often. He got out and joined Mr. Jeter. Together they looked over their rules, schedules, and roster sheets. Practice wasn’t scheduled to begin for another fifteen minutes. It was true. Derek did have the strong feeling that they were going to be something special. “It’s too good to be true!” Vijay exulted. That’s just it, Derek couldn’t help feeling. As psyched as he was, it did somehow feel too good to be true. He was only ten, but Derek already knew that life didn’t usually hand out gobs of ice cream without at least a small helping of spinach on the side. But his dad knew now, Derek thought. And that was driving him crazy. But they didn’t stop at field number four. They waved, said “Hi,” and kept on going, all the way over to field number two. Rats, thought Derek. That would have been so cool. . . .
Cubby Katz jogged by and waved hello, but he wasn’t on the Indians either. The speediest kid in town wound up on field number three. “Hey! Heads up!” Dave yelled. He was in the act of throwing the ball to Derek, who had stopped paying attention in the middle of their game of catch. Derek turned his attention back to Dave and Vijay so that he wouldn’t get conked on the head. A few minutes later, when he turned to take another peek at the bench, there were a few kids gathered around his dad and Chase. Derek recognized one of them. Jonathan Hogue was in his class at Saint Augustine’s school, along with Dave and Vijay. Jonathan waved and smiled, and Derek was glad to see him. He was a nice kid, although Derek wasn’t sure what kind of athlete he was. If he’d played in Little League before this, Derek had never run into him. He sure hoped his dad had saved number 13 for him. It had been Charles Jeter’s old number at college and had always been Derek’s favorite for that reason. “Did you save it for me?” he asked his dad. Derek was a little surprised that his dad was making him get in line like all the other kids who had just shown up. But he kind of understood. His dad liked to do things by the book, according to the rules—like not showing Derek the roster in advance. “Always,” Derek replied with a grin and a nod. Derek got in line behind three other kids. He’d seen them around in school, but he remembered only one from past seasons, a kid named Eddie Falk, who struck out a lot. Looking around, Derek didn’t see anybody from his mental wish list of teammates. One or two looked like they might be good athletes. But still Derek felt vaguely disappointed, and a little worried that the “sure thing” Vijay and Dave were imagining was starting to look a little shaky. “There you go, Derek,” said his dad, handing him uniform number 7. Derek knew he was a size medium, if not small. He shook his head, disappointed again. That was true, Derek had to admit. There were a lot worse numbers. “Besides, it’s lucky. Lucky seven! Tell you what, Son. Whether you make your own luck, or you need a little luck, seven is your number.” He gave Derek a smile and a wink, and Derek couldn’t help smiling back as he took his uniform and hat. Derek knew Miles. He’d been on last year’s team and had improved as the season had gone on, but he was no all-star. Nice kid, though. “Here!” a kid yelled, running up to join the rest of them. He was carrying a baseball mitt like he’d never held one before. There was an audible gasp from at least three other kids besides Derek. But as for Derek himself, all he heard was the sound of a loud, terrible gong in his head. The Gong of Doom. GARY PARNELL? Derek’s biggest nemesis in school? The kid who beat him on nearly every test in every subject, and always, always rubbed it in? The kid who absolutely, positively hated sports, calling them a waste of a good brain and valuable time? That voice. It could only be . . .
“Are you Gary Parnell?” Chase asked. Derek turned around slowly . . . and there was his worst nightmare, being handed an Indians uniform and hat. Derek stared. Gary looked as miserable as Derek felt. “You’re totally succeeding,” Derek whispered, frowning. This was a disaster of the highest proportions. Derek could feel the panic rising in his throat. He needed to scream—but of course that wasn’t going to happen. He was just going to have to somehow overcome this . . . this catastrophe. Derek wanted to scream. He wanted to take an eraser and wipe this day clean so that he could start it all over and make it turn out differently. But he couldn’t do any of that. There was his dad, right over there. There was Chase. There were his friends. There were all these other kids who were going to be his teammates. Derek knew he would have to accept this unacceptable, horrible mistake. But how in the world were he and the Indians supposed to even contend for a championship with Gary Parnell on the team? Derek Jeter has been waiting a long time for his dad, Charles Jeter, to be the coach of his Little League baseball team. It’s been his dream, and it’s finally going to happen this season. Describe and discuss a dream that you’ve had for you or a family member. How is it similar or different from Derek’s? What steps do you have to take to make it come true? In The Contract, the first book in this series, we recall that Derek’s parents established a contract to ensure that he succeeds in school and accomplishes his life dreams. This contract lists several expectations and carries penalties for breaking the rules. Does your family have specific rules or expectations for you that involve your behavior and school activities? Explain what happens if you violate these rules. Sometimes a metaphorical curveball can be thrown your way when you’re not expecting it. When Derek’s dad does not manage the team as Derek expected, Derek’s dreams about playing shortstop on a Little League championship team appear hopeless. Share an unexpected incident or event in your life that disrupted your good mood or hopeful attitude. Derek is shocked when he hears that his class rival, Gary Parnell, is assigned to play on his baseball team. Gary hates sports; in fact, he clowns around, offers excuses to get out of exercising, and continually disturbs the other teammates with his insistent joking. How would you handle a situation with a disruptive person like that? Is there one best way to handle the situation? Coach Chase and Coach Jeter were constantly occupied with teaching the other teammates and seem to have missed most of Gary’s talking and comical antics. Why was Derek so furious? Write down in a journal or notebook a similar feeling that you’ve experienced regarding a time when you did not understand or agree with an adult’s point of view. Discuss with a parent or a close advisor. When Derek shared his frustration with his dad, Coach Jeter advised him to “be the best teammate you can be.” One of the terms in his contract is Respect Others. How does this rule apply in Derek’s situation? What is a good team player? Being a good teammate means there is no “I” in team, no place for a “What about me?” attitude. Do you agree that baseball is a team sport? Explain why or why not? Derek is upset when he realizes that his pouty reaction to a prank played on him by another teammate results in a public reprimand of Derek by the coach. How could this embarrassing moment have been avoided? What would you have done? Derek discovers he needs to focus on doing his best and maintaining a better attitude, even when pranked. What would the best reaction be to a petty prank or wisecrack? What did Coach Jeter do to emphasize to Derek that it’s important to learn all aspects of the game? How did Derek respond? What would you have done? Sharlee and her close friend Ciara are very excited about their personal triumphs on their undefeated T-ball team and can’t seem to stop talking about it. Which emotions did Derek try to hide during one of their exuberant rehashing’s of game events? Discuss these feelings. Talking privately to his mom about his hurt feelings allowed Derek an opportunity to see the complex situation from a different point of view. Discuss the team lineup switch strategy from Coach Jeter’s perspective. First-game anxiety and playing in a new position is nerve-wracking enough for Derek, but when Gary plays another stupid prank, Derek loses it. Coach Jeter benches them both. What was the coach trying to teach about teamwork? Life often serves up challenges that seem unfair, and failure sometimes happens. Losing the opening game of the season was tough on the team, but the coach offered a pep talk afterward to lift the team’s spirits. Do you remember a situation where you tried and failed? How did you feel? What did you do to change or improve the situation? Derek was in a pretty foul mood after the first game. He felt losing by such a large margin could have been avoided. What was happening to his dream to win the championship? What was Derek’s father’s reaction to his son’s sullen behavior? Derek knows that he has disappointed his dad with his rash behavior and possibly jeopardized the team spirit with his negative attitude. What should Derek do to correct his behavior? How should Derek react, even if he feels disappointment with the team? After another frustrating encounter with Gary, Derek has another heartfelt discussion with his mom, which reveals another concept that he had never considered. Does he have anything in common with Gary? What do you think? Describe two things that Gary and Derek have in common and two ways that they are very different. One of the rules in Derek’s contract is to “Think Before You Act.” Does he live up to this expectation? Why or why not? Often we are asked to pitch in and do something “for your own good” or to be strong and “carry your own weight.” This may require extra effort to accomplish. Can you explain a few times when you were pushed out of your comfort zone for the good of an entire group? Teamwork takes each individual striving together as a whole to win. What lessons can you learn from Derek’s dilemma? Coach Chase asks Derek to try to get back to his love of just playing the game. He encouraged him to focus on the game and have patience. Derek began to look at the critical issues more positively. Why was this a good approach? Which approach would you have taken? Gary is challenged to “do better” on the ballfield if he wants to go to math camp in the summer. Working hard to achieve an objective is a great incentive. How can you improve your grades and test scores? What works for you? Science and math are important classes to Derek. He knows that he has to study hard to keep his skills sharp and improve his test scores. What was the deal he made with Gary, and how would this challenge help them both reach their individual goals? Derek knows that a little extra practice would perfect Gary’s batting skills and fielding abilities. After winning the bet with Gary in science class, Derek asks his father to take time to offer extra batting tips to Gary. What happens when the boys actually apply what they are taught? Derek sees that Dave is in a pitching slump and also needs help. He offers to help him practice after school. How does the extra effort from Derek help both boys improve their team spirit? Coach Jeter continues to use Derek to support the team activities in various ways. How does this affect his attitude? What makes you try harder when you are faced with obstacles? Gary and Dave began to improve their performance after taking fielding and pitching practice from Derek. How did this personal attention and practice with his teammates make a difference? Derek felt uncomfortable asking Coach Jeter to give Dave a second chance at pitching. What would you have done in that situation? Coach Jeter organizes and switches the lineup regularly to observe and test the strengths and weaknesses of his new team. What does this type of coaching style establish? Is it effective? In math class, Derek has to work with a partner on the final project of the year. It is worth 20 percent of the grade. His teacher assigns Gary to be his partner. Sensing disaster, Derek is ready to try something new. What would be the best approach for this project? Gary is a top student in math and he loves to crunch numbers. When Derek showed him how important math was in baseball, Gary actually began to get excited about the game. Working out their team averages and comparing them to the Major League Indians’ averages was great fun for Gary. He was hooked. What changed? What key lesson did Derek learn? Plans and dreams can change based on circumstances. Make a list of some of the projects you disliked in the beginning but then later found to be rewarding. Working with Gary on his fielding techniques, Derek suddenly appreciates his father’s wisdom in assigning him to so many different positions. What was significant about this discovery? After losing three games in a row, the Indians knew that the fourth game was a critical turning point in the season. All the players were tense and anxious because they were facing an undefeated team. Being the underdog has its advantages and disadvantages. List a few of both. Explain your choices. Working on the baseball stats seems to lift Gary’s spirits. His opinion about the sport of baseball improved. How did this help him relate to his teammates? What was the key factor in his turnaround? When Gary introduced the scoring charts to the coaches and players, he never mentioned that his effort was a joint class project with Derek, or that the plan was Derek’s idea. How did this make Derek feel? Why did he let Gary take all of the credit? Discuss what you would have done. Derek and Gary received an A-plus on their math term project on baseball statistics. Why was this grade so important to both of them, and how did it affect their attitude to one another? Dave’s new practice strategy improves his pitching performance. Working extra hard after school with Derek is paying off. How does Derek’s “never-give-up” attitude convince his coach to give Dave a second chance on the mound? Due to a League system rule change, the top six teams will compete in the playoffs. Would the Indians have a chance? What has to happen to give them hope? How can this team beat the odds? Sharlee, Derek’s sister, led her undefeated T-ball team to a season championship, and Derek took time out of his schedule to be there for his sister. Which one of the points on the contract was Derek fulfilling? Why was this support for his sister important? “It ain’t over ‘til it’s over.” How does this quote apply to baseball and to life? The Indians are headed to the play-offs because of genuine teamwork and cooperation. Select a player or a coach that you think deserved to be MVP. Explain why. 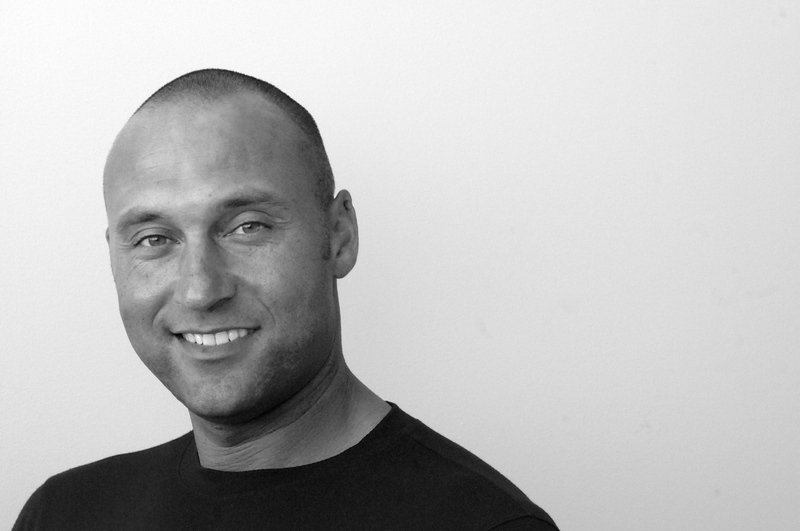 Ask readers to review Derek Jeter’s 10 Life Lessons. 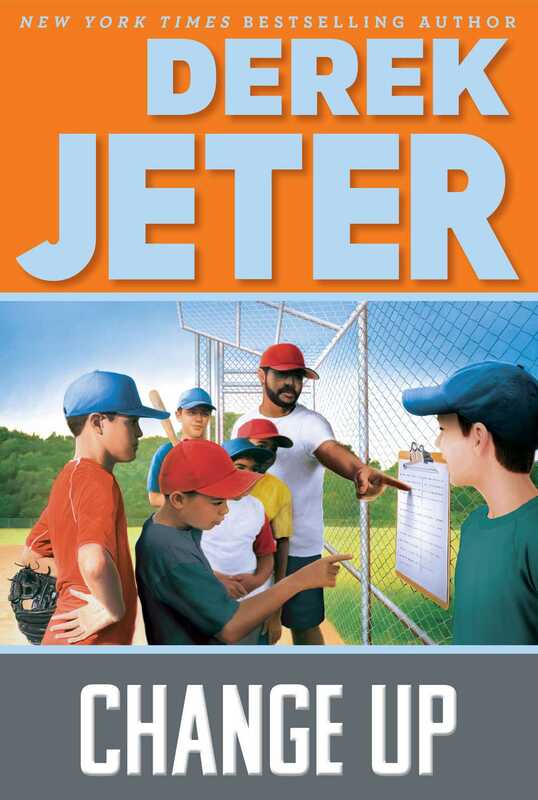 They are listed in the front of the book and on his website: http://mlb.mlb.com/players/jeter_derek/kids/handbook.jsp. Select one item from the Contract for Derek Jeter. Have the students describe in writing how their choice would make their life easier or provide a critical challenge. Group students with the same contract choice in one area. Allow enough time for each student to share their selection. Look up a few baseball quotes, clichés, or poems on the Internet. Pick two to share with the class. Have students write a brief 150- to-200-word essay on the meaning of one your selections, for example, grand slam, whiff, or high and tight. Play a recording or video of the famous baseball comedy act by Abbott and Costello (click here: http://www.baseball-almanac.com/humor4.shtml). Encourage discussion about language and fluency strategies. Distribute a copy of the famous classic poem “Casey at the Bat” by Ernest Lawrence Thayer (http://www.baseball-almanac.com/poetry/po_case.shtml) to each young reader. Select four students (or more, if group is really large) to read certain passages in front of the class. Give them rehearsal time in a separate space. Break the students into groups of four or into pairs. Each student will be asked to write an auto-bio poem about themselves and share it with their partner. The teacher should hand out the auto-bio template (see http://www.readwritethink.org/files/resources/lesson_images/lesson398/biopoem.pdf) and read the bio-poem sample about Rosa Parks to give students an example of how to write an auto-bio poem. Students should be imaginative and reflective. When the exercise is complete, the pairs should read the auto-bios of their partners. Guide written in 2016 by Chrystal Carr Jeter of Willoughby-Eastlake Public Library (no relation to Derek Jeter or his family).